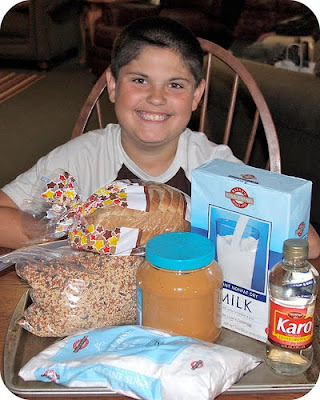 "Bird Feeder with a lil Bath"
What we did was take the basic Peanut Butter Play Dough Recipe and added a few things to make this adorable Bird Feeder that will last for days. 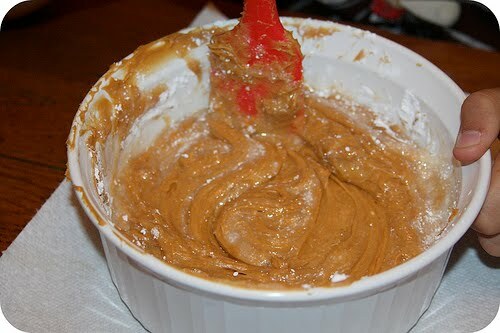 First, mix together your peanut butter, powdered sugar and karo syrup. Mix until all the powdered sugar is gone. 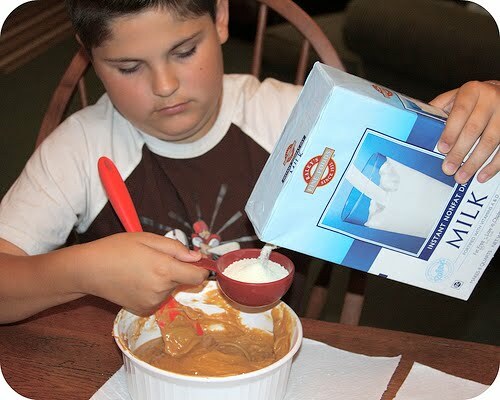 Add in 3 cups powdered milk, mix well. 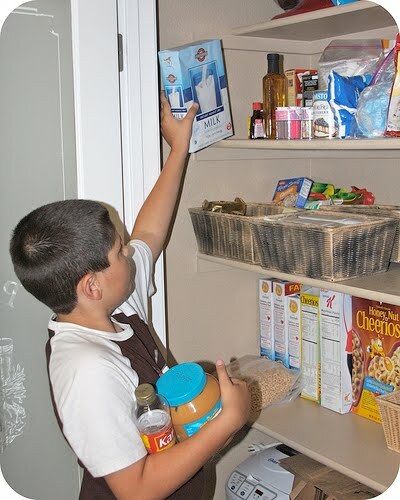 Remember to have your kids help you put things away as you use them. So there is less of a mess as you are working. Next you want to grab some bird seed and start pressing onto your peanut butter mixture. Keep adding birdseed until you have most of it covered. Then place in the oven for 18-25 minutes. Depending on your oven. Just keep checking until the outer edge is firm. Once done, let cool for at least 30 minutes. 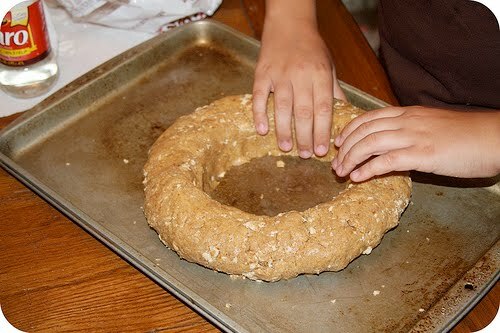 Your finished bird wreath made this way is heavy so this is what you want to do. 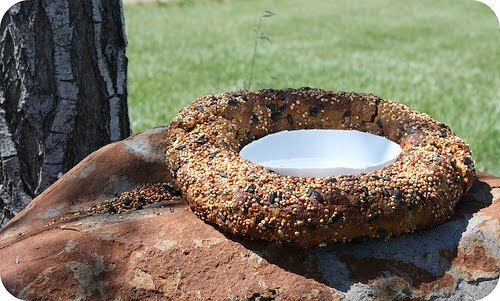 Take out and place on a rock, table or tree, add in a small bowl in the center of the wreath. 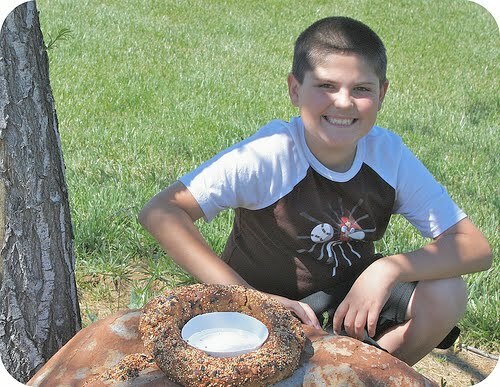 Add water to make a little bird bath. The kids will have fun watching the birds play in the water. It's hot here, so we have to fill our water quite often. There you have it. 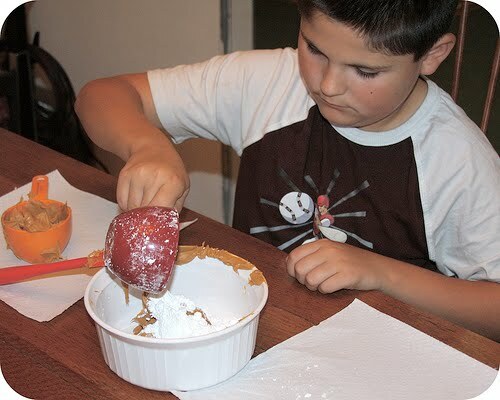 A simple fun activity you can do with the kids this summer. 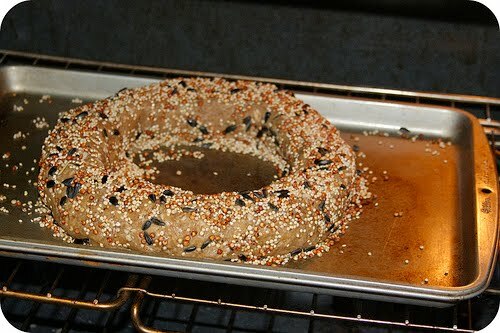 I have another recipe for a birdseed wreath that I will share soon. This one you can hang in a tree. Have fun and as always, we'd love to see what you came up with. So please share. I am going to see if my mum can help me make this. I like this idea. It was a lot of fun. Hope you have fun making yours! My 11 yo son is an avid birdwatcher. When he gets home from camp we will be making this! He'll love it! Thanks so much for sharing!!! I have heard this is a lot of fun...looks great! Thanks for hosting the blog hop...I am a follower already of both your blogs. What a great idea! 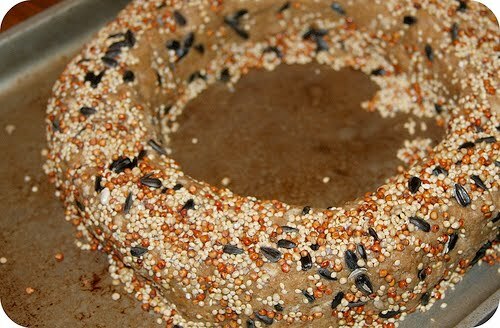 Love it I think we may make this today... but one question, where does the bread come in? Perfect timing today to find this. I just have my two older girls for daycare and this would be a wonderful afternoon craft. Thank you so much for sharing and thank your son for helping teach it to us. Hi Tara! I've already commented on this awesome idea! My son and Ihaven't made it yet...but I'd love for you to link it up to my garden party over at http://keeninspirations.blogspot.com. It starts tomorrow and goes through Friday! There will be alot of fun summer/outdoor and garden projects as well as some awesome giveaways! I hope you have a minute to drop by!